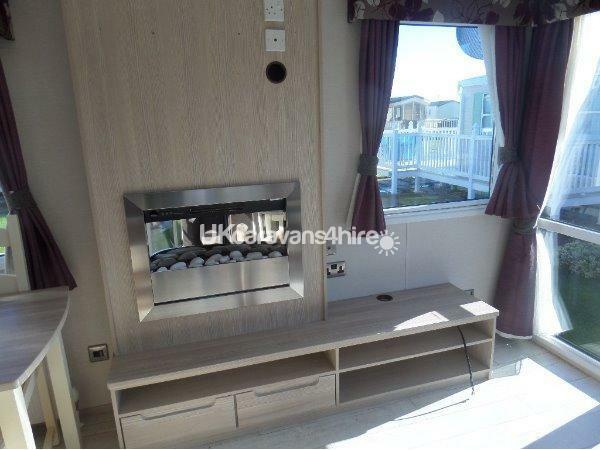 Additional Info: This stunning gold rating caravan combines modern style, fully equipped with all you need for a break away on a lovely quiet site located on the White House site. This is not only by the beach but also on the main coast road. 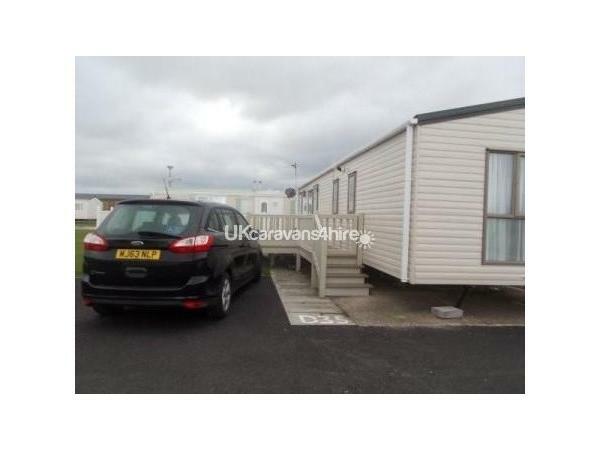 I all so have a willerby peppy 2 2017 sleeps 6 3 bedroom on TY Gwyn a extra quiet site 619 on this site. july august, sep and bank holidays £600 only week booking in July. August. A family holiday wouldn't be a family without your pet pooch we provide cover for the seats and towels if your pets go in the sea all so dog bowls so please let us know if you are bringing yours. All beds are made up for you.All so beach rods White House is part of Golden Gate site has undergone major redevelopment work .it a has n clubhouse providing entertainment the same as White House all suitable for all the family.There is al l so, a new kids zone with 3 story soft play area & slides.kids club providing various activities throughout school holidays , arcade.icee cream & milkshake parlour plus a pizza & snack bar.an adventure playground.zip wire all weather pitch grocery store and chip shop. NEW to 2019 will be a brand new swimming pool complex . This is the first time we've stayed on the Whitehouse site and was pleasantly surprised. 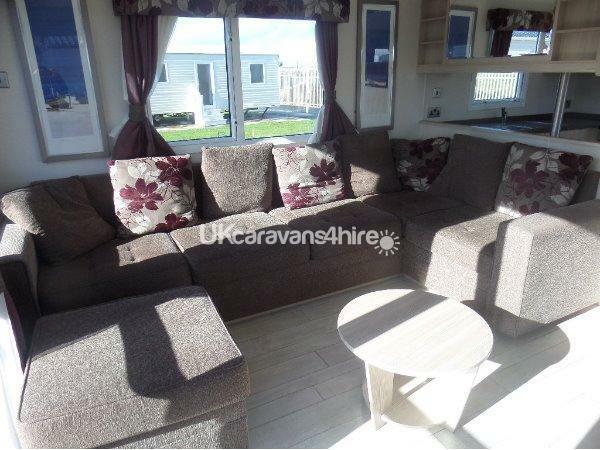 Jean's caravan was excellent, a lovely caravan, extremely well presented and equipped for everything you could need. All beds were made up ready which is always a bonus!!! Would definitely stay again. 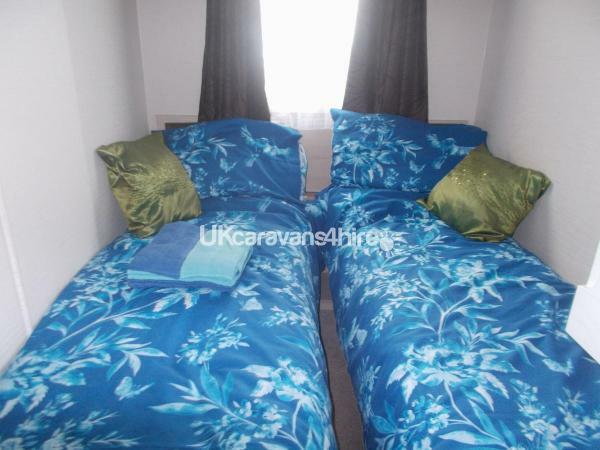 My husband and I and our two little dogs stayed in this lovely caravan. It was a much needed last minute break. The caravan was spotless a real home from home and more. There was everything we needed, very well equipped indeed. Double glazed and central heated and very modern. We were so grateful Jean allowed our 2 day break despite the minimum being 3 so never be afraid to ask else you'll miss out on a wonderful opportunity. Jean us great at responding quickly and even offered to let us check out later than normal which was great! Our deposit was returned in welI under axweek too straiggt into our bank account. I highly recommend this wonderful getaway. Thank you Jean ! thank you for the Review I am glad that you had a good rest and time jean. 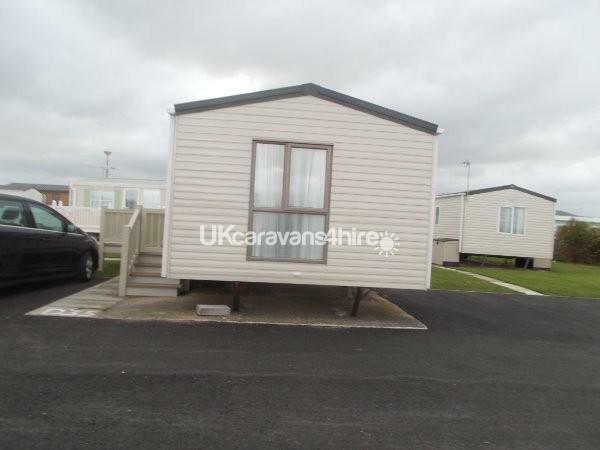 We stayed in this caravan for a few days and thoroughly enjoyed it.The site and the caravan are very clean and the owner very helpful and accommodating,Everything we needed was provided.Its been the best caravan we have stayed in Towyn and will definitely book again.Thank You. Initially I booked this accommodation due to the excellent reviews and also because the owner was willing to accept my request for a three night booking rather than a full week during this peak holiday period which I did not want as my husband and I wanted to take our three young grandchildren on a mini break (the youngest is 2 years old and we thought that three nights away from mummy and daddy was a long enough time away). 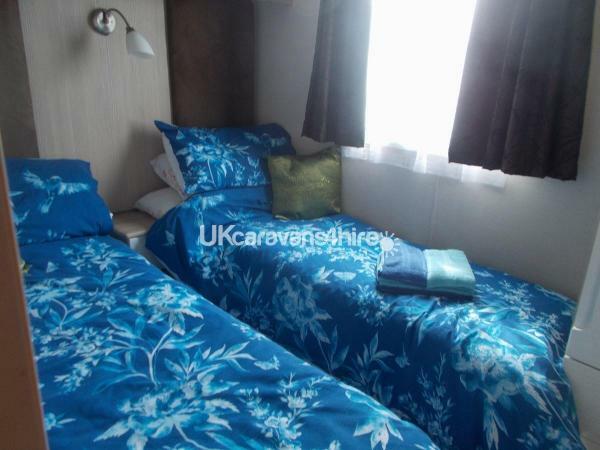 We found the caravan to be extremely clean, comfortable and very well equipped. Over and above this was all the extras (iron, hairdryer, dvd's, washing up liquid, second tv in bedroom, shower mat ready for stepping out of the shower etc, etc etc). 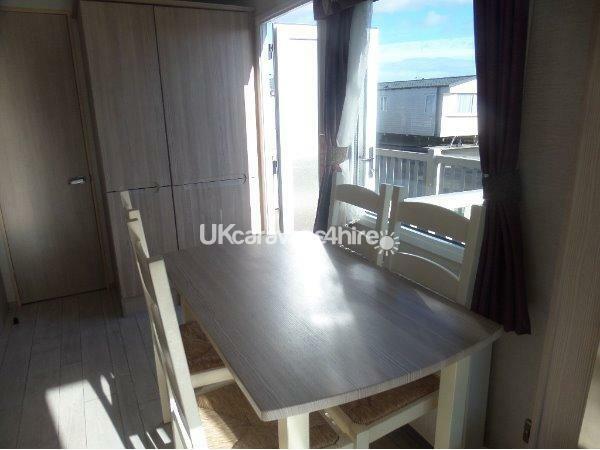 The caravan is sited in an excellent spot and was again very child friendly as the grandchildren had space to play safely outside within view and enjoyed sitting outside using the outdoor table and chairs. The owner Jean was very obliging, trusting and very willing to help and it was a pleasure meeting her and Frank in person at the end of our mini break. 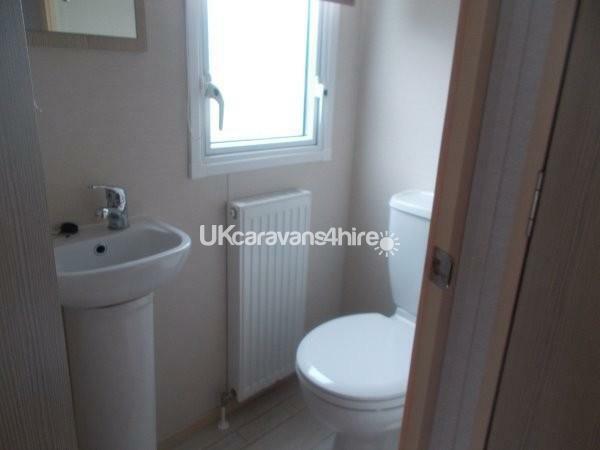 You have a beautiful caravan and it is very evident how hard you work to make it so. 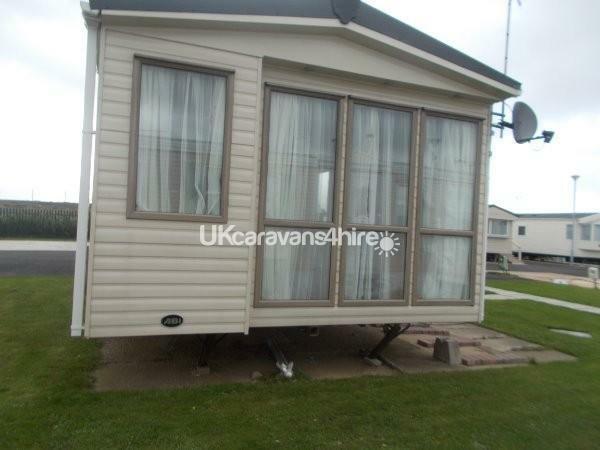 We would have no hesitation in returning or in reccommending a stay in your caravan. Thank you both. This caravan is just perfect. We are a family of 4 with a 13 & 9 year old and we also took our dog. 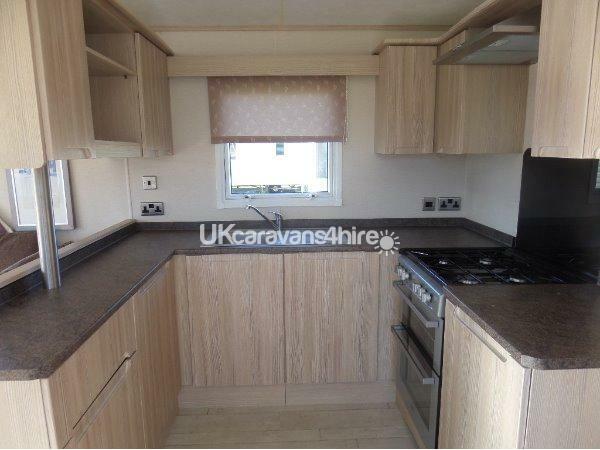 The caravan was very modern, clean and spacious,the site was lovely right next to the beach.Jean the owner also left us towels and blankets for the dog. The caravan is well equipped with everything you need. Everything is close by to enjoy your holiday. We will definatley be booking again. Cant wait to go back. Fabulous location! 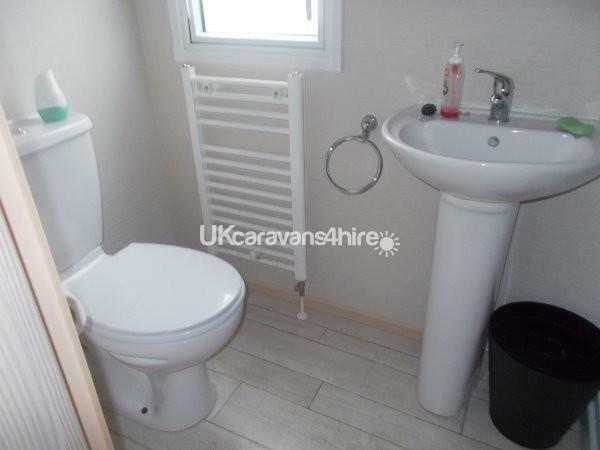 the caravan it's self is modern, clean and has everything you could need. We loved our stay and are looking forward to booking again. 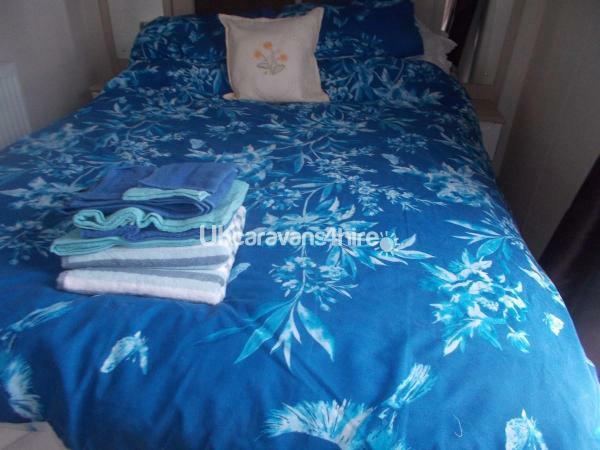 The caravan is well placed being close to the beach and local town. There is a nice big patch of grass outside of the caravan so the kids could play without annoying the other caravans. We got this at a bargain price,so happy we booked it and the owner is lovely and very helpful. I'm so glad you enjoyed your stay and thank you for leaving the caravan is such a nice condition.